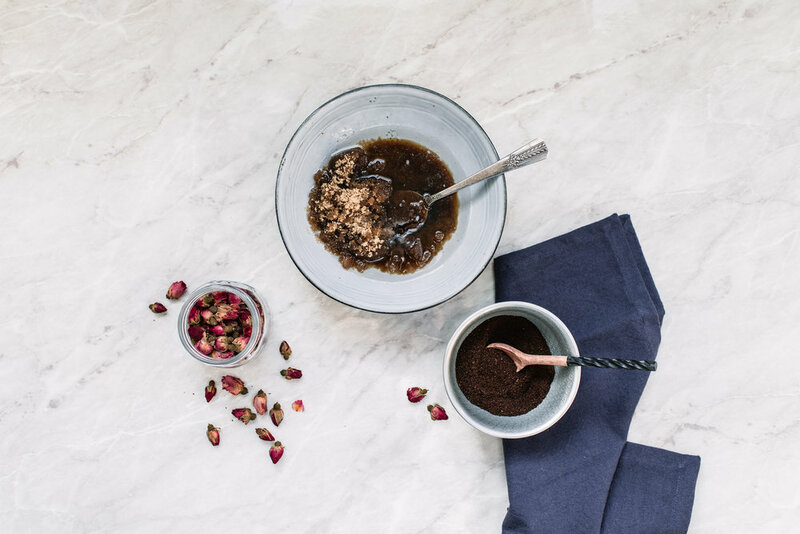 Coffee scrubs are all the rage these days, with brands promising benefits such as cellulite reduction and detoxification, as well as smoothed, moisturised skin. Sounds pretty great, doesn't it? And let me tell you, it is! I tried a store-bought coffee scrub and was obsessed with the results it had on my skin, not to mention the energising scent it had. The only problem was that it set me back 25 quid. Yikes. So, because I'm such a penny-pincher (or at least I try to be), I decided to make my own coffee scrub using ingredients I already had lying around. Because I live in an area with loads of great Halal and Asian shops, I love experimenting with Middle-Eastern flavours such as cardamom and rosewater. These are optional, but I find they really enhance the scent of the scrub and and offer their own skin-softening benefits. Which is another great thing about this scrub; it's full of wholesome ingredients, with none of the nasty chemicals. This scrub makes a lovely gift for a friend, and once you have the main recipe down, you're free to play around with the scents by changing the essential oils you use. Vanilla and grapefruit are two that I tried previously and absolutely loved. It's totally up to you. But for now, I'm all about that rosewater and cardamom. 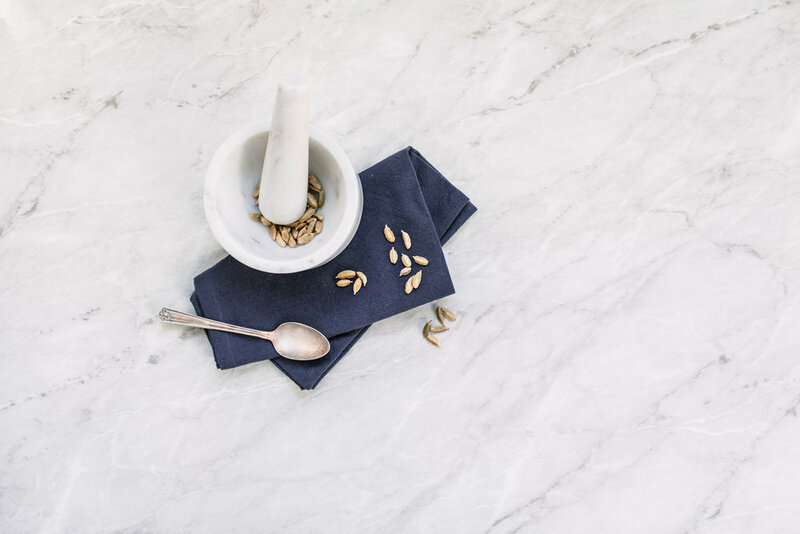 First, get all of your dry ingredients ready by grinding and bashing your coffee and cardamom if you've bought them whole (which I typically do to maintain the ingredient's flavour until I'm ready to use it). Next, gently melt your coconut oil until it's soft. I do this in a microwave (for about 10-20 seconds, watching it like a hawk!) but it's probably safer to do it in a saucepan. Once melted, add the vitamin E, essential oil and rosewater. Next add the cardamon, the brown sugar, the coffee and finally the rose petals. Stir gently after each ingredient is added before adding the next. Decant into an airtight jar and you're done! Because this is technically food, I'd recommend storing it in the fridge if you're not going to use it up within a month or two. Use about 1-2 tablespoons all over your body once or twice a week for ultra smooth, soft skin.